Let the magic begin! A pretty accessory for a special fairy. 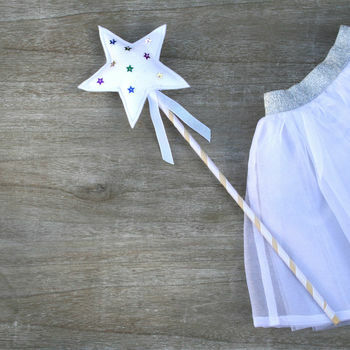 Handmade Wand in soft white natural felt, sprinkled with hand sewn sparkly stars. Clara’s pretty handmade white wand will make a delightful magical children’s gift. If you are looking for a bridesmaid gift or an alternative to traditional bridesmaid flowers this pretty white wand will look really lovely on your special day. If you prefer all silver or gold stars please message me. 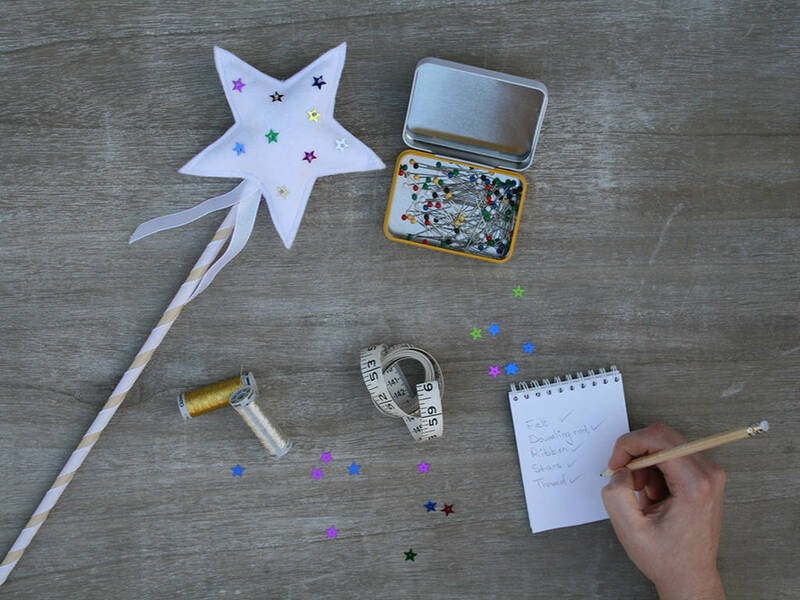 Star Wand is made from natural fibre felt with hand sewn stars and beads. Lightly stuffed for a plush look, coordinated with a natural wooden magical stick, wrapped in a shimmering white ribbon. Suitable for ages 3 years plus, due to small parts. Back of wand plain white natural fibre felt. This product is dispatched to you by Clara Kids.